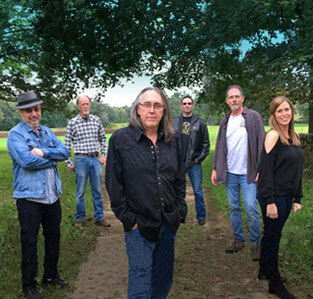 Not just another cover band, Rust Never Sleeps inhabits the muse of Neil Young. They can dive deep into the “spook” with Ken and Chuck’s dueling, slashing guitars… or get you "ready for the country" with Reena’s sweet soaring harmonies and Rob’s soulful pedal steel, all held down by Mike’s steady bass grooves and Jeremy’s rock solid in-the-pocket drumming. Tight as a Saturday night or loose as a goose, they always satisfy. RNS is a band that embraces the Neil Young ethos: follow the muse. Ken explains: “we bring our own musical humanity to the table when we play these songs, they’re not artifacts… they’re living and breathing when we play them.” For RNS, no two shows are necessarily alike, and Neil’s extensive catalog allows for unlimited musical exploration and expression.